Power points of hindu religion, some important key words used in daily life by hindus, Some keywords of Panchang, Hindi months, Yogas. Many times simple questions are heard in mob like as what are Hindi months, what is krishna paksha and shukla paksh, how many vedas are there, what are ashram, what are panchgavya, who are panchdev, what is ashtang yoga etc. So here in this article I am clearing about these important concepts of Hindus. Teach your self, tell your children, friends to read this article to know about these important words used by Great Indians. 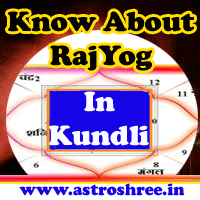 These 2 words are used very commonly by astrologers to perform specific karm kanda. Let's understand this. Actually there are 30 or 31 days in a month and the days from Full Moon day to Amasya i.e No Moon day are called Krishna paksha. In this period power of Moon become diminish day by day. The days from No Moon day i.e. Amavasya to Poornima i.e. Full Moon day comes under Shukla Paksha. In this period Power of Moon Increases day by day. All the auspicious works are done in sukla paksha for best results. To educate people or children help to over come from rishi rin. And to perform spiritual practices to know about who we are helpful to over come from Dev rin. It is the process to make our self pure, sacred and powerful like as Supreme power(DEV). There are 4 yug about which we hear and read in Ramayan, Mahabharat, Bhagwad Geeta etc. and they are Satyug, Tretayug, Dwapar yug and Kalyug. It is a belief that now a days Kalyug is running and after this again satyug will come. C) Jagannath puri Dhan in South. A) Brahmcharya Ashram when full concentration is given to build physical power, mental power and to learn different vidyas i.e. knowledge of different subjects. B) Griastha Ashram when person do marriage and take responsibilities to perform karma for food and to live life with ease with family members. C) Vanprastha Ashram when a person enter in old age and is unable to perform work, in that age it is advised to live a life of ascetic anywhere and this life is called the vanprashta ashram when a person should perform chanting of his or her ishtdeva. D) Fourth is Sanyas ashram, it is very old age when it is advised to detach with the worldly relations totally enter in spiritual practices so as to achieve the salvation. Yam, Niyam, asan, Pranayam, pratyahar, dharna, dhayan and samaadhi are the 8 practices which is done in yoga as per Patanjali rishi. Man, Buddhi, Chitta and Ahankaar. Ghee of Cow milk, Milk of cow, Curd made by cow milk, Gaumutra, Cow dung(gobar). These 5 things are taken as very sacred as per hindus and that's why used in poojas to attract the blessings of god and goddess. Prithvi(Earth), Jal(Water), Agni(Fire), Vaayu(Air), Aakaash(Sky). Vishwamitra, Jamdagni, Bhardwaj, Gautam, Atri, Vashishtha and Kashyap. Vaishvik darshan, Nyay darshan, Sankhya darshan, Yog, Poorva Mimansa and Dakshin Mimansa. North, South, East, West, Ishan i.e. North-East, Aagney i.e. South East, Nairatya i.e. South-West, Vayavya i.e. North-West, Sky and Pataal(abyss). Matsya, Kachhap, Varaah, Narsimha, Vaman, Parshuram, Shree Ram, Krishna, Balraam, Budha and Kalki. Chaitra, Vaishakh, Jyeshtha, Ashaad, Shravan, Bhadrapad, Ashvin, Kartik Margshirsh, Paush, Maagh, Fagun. Somnath, Mallikarjun, Mahakal, Omkareshwar, Baijnath, Rameshwaram, Vishwanath, Tryambakeshwar, Kedarnath, Ghrishneshwar, Bhimashankar, Naageshwar. Pratipada, Dwitiya, Tritiya, Chaturth, Panchmi, Shashthi, Saptmi, ashtmi, Navmi, Dushmi, Ekadashi or Gyaras, Dwadashi, Trayodashi, Chaturdashi, Poornima, Amavasya. Hope this article has definitely increased your knowledge. So be in touch on line for daily updates. Get guidance from Indian Astrologer For your bright future, know about your horoscope, destiny as per your horoscope/birth chart/ kundli. Click here to Know the Astrology Consultation Process.